Need more information about booking Home 305298 ? 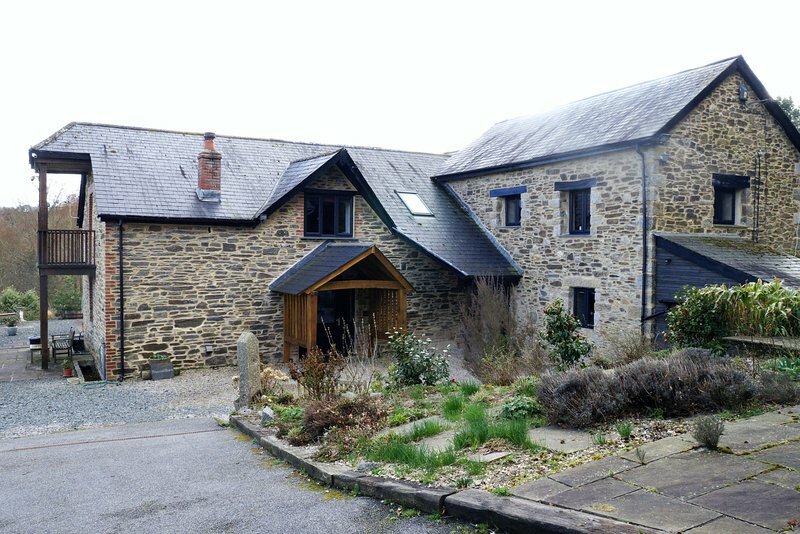 Self catering converted barn, The Buttery, is set in a secluded rural location. 2 miles from Liskeard and 6.5 miles from Looe. This character attached cottage sleeps 2 in a studio bedroom with a separate well equipped kitchen and shower room. Within beautiful gardens overlooking the beautiful East Looe Valley, guests can enjoy the sun terrace with magnificent views over the 7 acre property. The bedroom can be configured as a large double or twin bedded room. The property has it's own access and ample private parking. Dog friendly at no additional cost with free dog sitting offered by arrangement. The Buttery has central heating, TV (Freeview HD & Netflix), WiFi and laundry facilities. The Buttery is ground floor and would be suitable for guests with limited mobility (not wheel chair). The Buttery is a great base for exploring Cornwall and west Devon. Just a short drive from Looe and Polperro and close to the access roads to visit the Eden Project, Lost gardens of Heligan, Bodmin Moor, Truro, St Austel, Fowey, Falmouth as well as the north Cornwall coast and places such as Padstow, Newquay, St Ives and, Perrenporth. Please note changeover day is Friday with a minimum stay of 5 days. We love meeting our guests and, weather permitting, sitting on the patio chatting over a cup of tea. We are very happy to help and advise about places to visit, the best walks etc. - so don't hesitate to ask. This Barn has 1 bedroom, 1 bathroom and sleeps 2. It’s been listed on Holiday Lettings since 23 Jan 2013. Located in Looe, it has 5 reviews with an overall rating of 5. The average weekly rate is £596. You can get in touch with Nigel, Richard (the owner) through the contact form on this page. Send Nigel, Richard (the owner) an email through the contact form on this page. Alternatively, if there’s a phone number on this page, you can call them. How do I contact Nigel, Richard (the owner)? If you’ve already booked, go to Manage your holiday booking to view Nigel, Richard the owner's contact details or send them a message. Or send Nigel, Richard (the owner) an enquiry through the Contact the owner/manager form if you’d like a quote or more info first. When you pay online through the Book your stay form, a booking request is sent to Nigel, Richard (the owner). You’ll find out within 24 hours whether they’ve accepted - no money will leave your account before then. You can also request a quote from Nigel, Richard (the owner) through the contact form. The owner will email you the total cost for your dates and a link to book and pay online. Use the Book your stay form to pay provisionally online. You can pay by credit/debit card or PayPal. Nigel, Richard (the owner) will have 24 hours to accept the booking and no money will leave your account before then. Why can't I call Nigel, Richard (the owner) before booking? You’ll need to contact Nigel, Richard (the owner) to do this. Send them a message in Manage your holiday booking or through the contact form on this page. You can request to change the dates or number of people on your booking via the Manage your holiday booking page. To change your holiday dates use the Edit booking button. If you need to change the number of guests staying then send Nigel, Richard (the owner) a message. If Nigel, Richard (the owner) agrees, they’ll send you a revised quote outlining the changes. You can review and accept/decline this from the Manage your holiday booking page. You’ll have 48 hours to take action before the revised quote expires.